Yesterday, I shot another sport I’ve never covered before: Track and field. © 2011 by The York Dispatch. York Suburban's Tessa Stewart runs with the baton during the 3200-meter relay at Northeastern on Thursday, April 14, 2011. The York Suburban girls won that race with a time of 11:22.41. 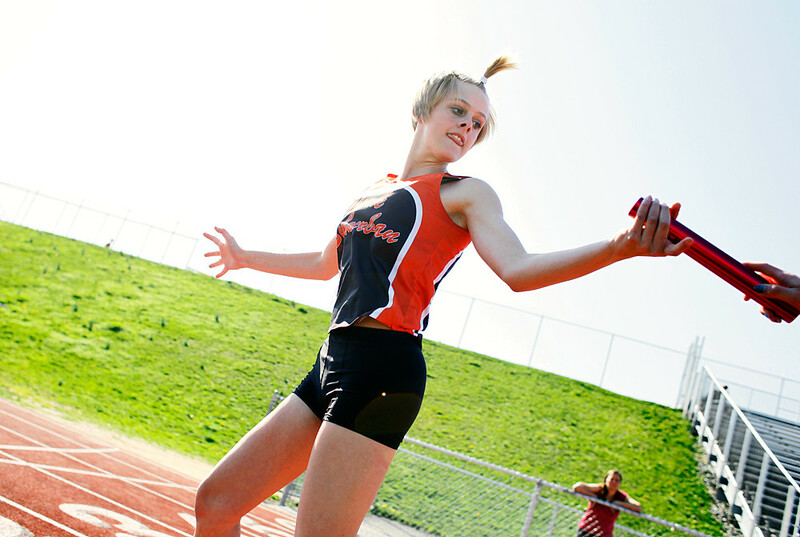 Northeastern High School hosted a track and field meet against York Suburban High School. York Suburban girls won 80-70; York Suburban boys won 92-57. It was a little more difficult than I’d anticipated. For one, hand-offs in the relay races can happen anywhere in a range of 20 feet (guesstimation), so the range of potential exposure was huge. For another, these kids are fast. In basketball and soccer and other constant-motion sports, the athletes have to slow down a little bit before they shoot the basket or pass the ball — but for running sports? They’re running. And god help you if your autofocus isn’t up to speed. So I tried for some peak action shots, and then I tried for feature shots. Feature shots, I think, won the day. © 2011 by The York Dispatch. 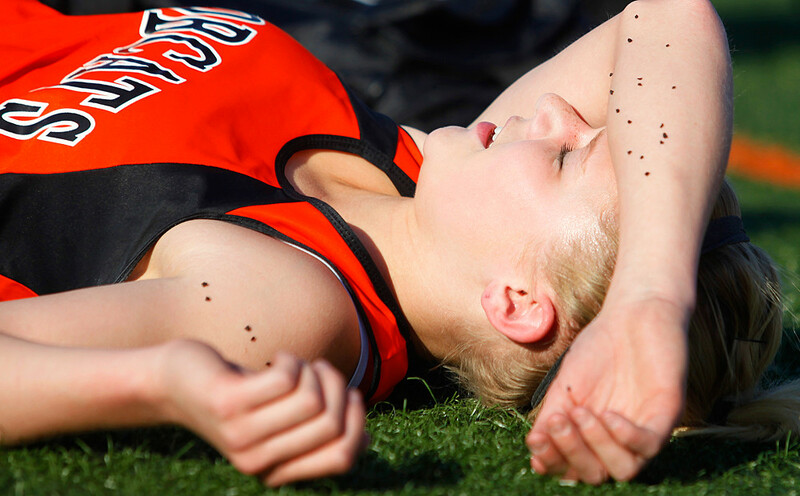 Northeastern's Katelyn Starner lies on the football field turf in exhaustion after completing her run in the 1600-meter relay on Thursday, April 14, 2011. The York Suburban girls won that event with a time of 4:29.78. © 2011 by The York Dispatch. Northeastern's Misty Parshall covers her face after being told her winning time for the 800-meter run on Thursday, April 14, 2011. Parshall won the event with a time of 2:37.39.